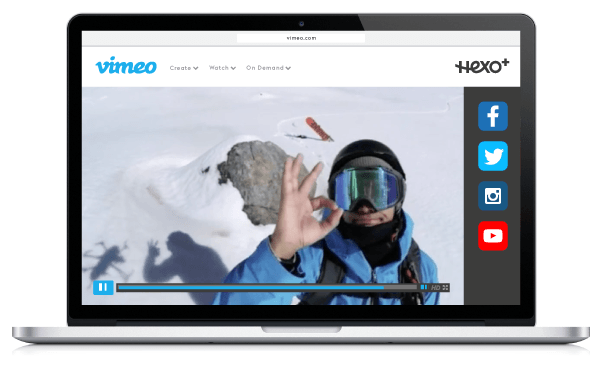 Hexo+ lets you create amazing videos of yourself from above, with only a couple of taps on your smartphone. 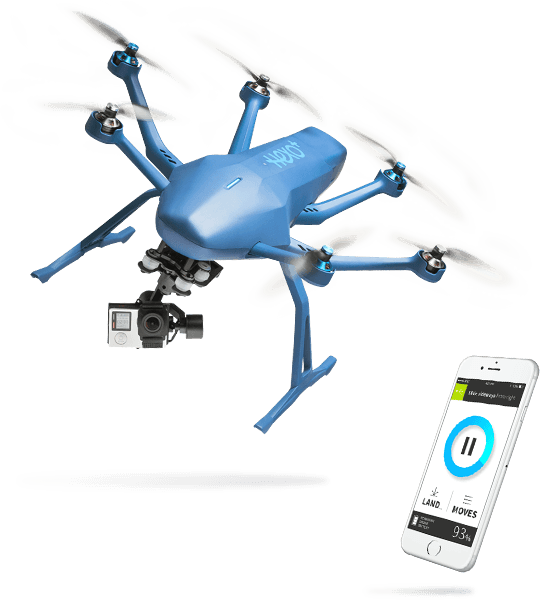 We combined a fast and responsive drone, a 3-axis gimbal, predictive tracking algorithms and a camera movement-packed mobile app to let you produce beautiful, perfectly framed and stabilized aerial images. Hexo+ is designed to be used in all situations. Coming from action sports, we created a drone as compact and carryable as possible, with removable propellers, feet and gimbal to let you freely move around with it strapped onto your backpack. On top of that, Hexo+ flies up to 40 mph - 70 km/h to keep up with speedy descents and strong winds. Finally, we made sure it could handle a bit a of abuse, because we know it will take some. Hexo+ is designed to be used in all situations. 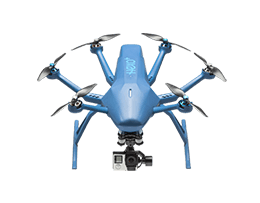 Coming from action sports, we created a drone as compact and carryable a possible, with removable propellers, feet and gimbal to let you move around freely. 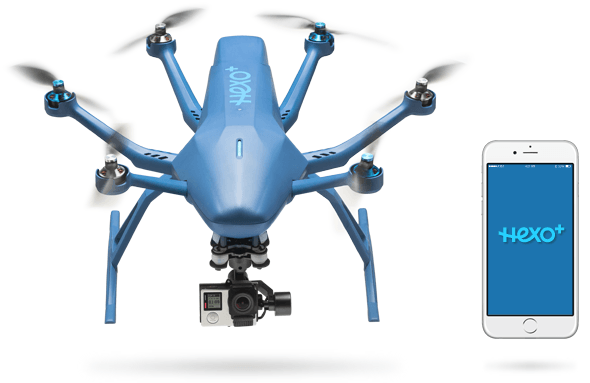 Hexo takes the hassle out of aerial filming. 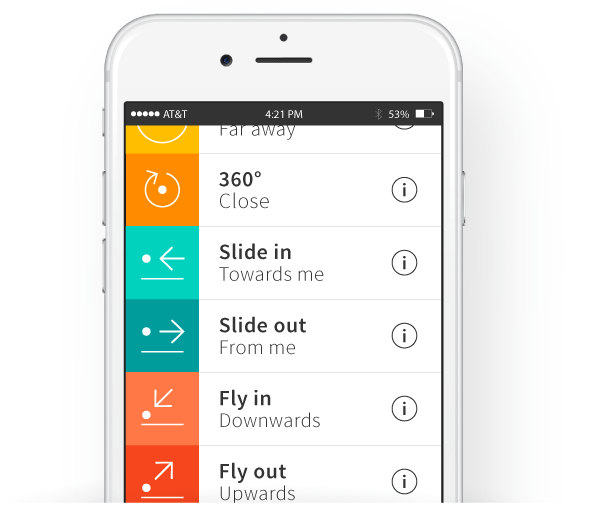 From removing the need for a remote control by using your smartphone, to letting you choose your camera movement and position, to automated flight and framing, we refined each and every detail to make sure filming from the sky is actually fun and easy, right out of the box.